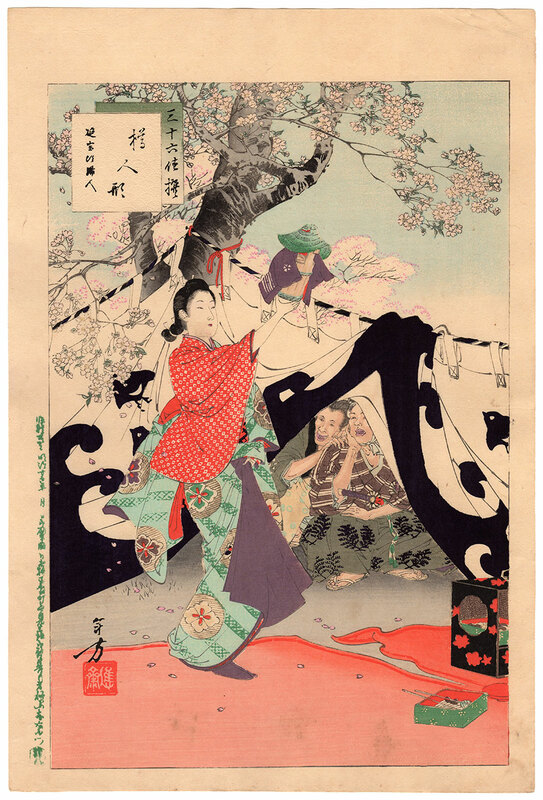 In the magnificent setting of a park of blooming cherry trees, a bijin (美人) beauty entertains two samurai with a puppet show improvised with a bucket disguised as a torioi (鳥追い) street musician with a happi (法被) coat and a woven straw hat. 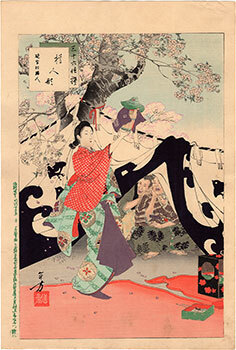 The large vertical format woodblock print is taken from the series "Selection of Thirty-six Beauties" (三十六佳撰) by the artist Mizuno Toshikata (水野年方). 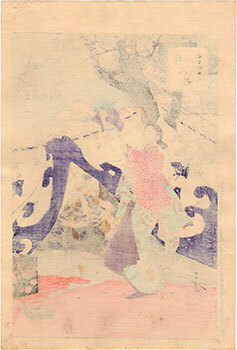 The complete title of the work is "Puppet Made from a Bucket: Woman of the Enpo Era" (樽人形 延宝頃婦人). The print, made in 1892 by the publisher Akiyama Buemon (秋山武右衛門), owner of Kokkeido (滑稽堂), despite the presence of some stains due to time, is in good general condition.